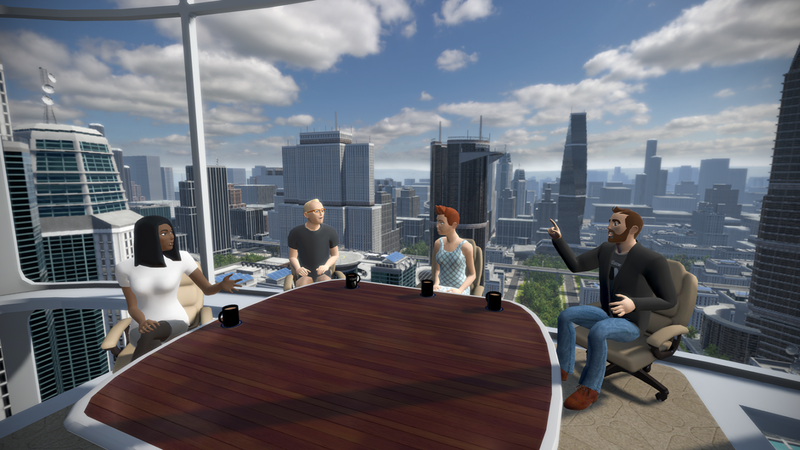 vTime (http://vtime.net) provides a facility where up to four participants can connect in VR (e.g. 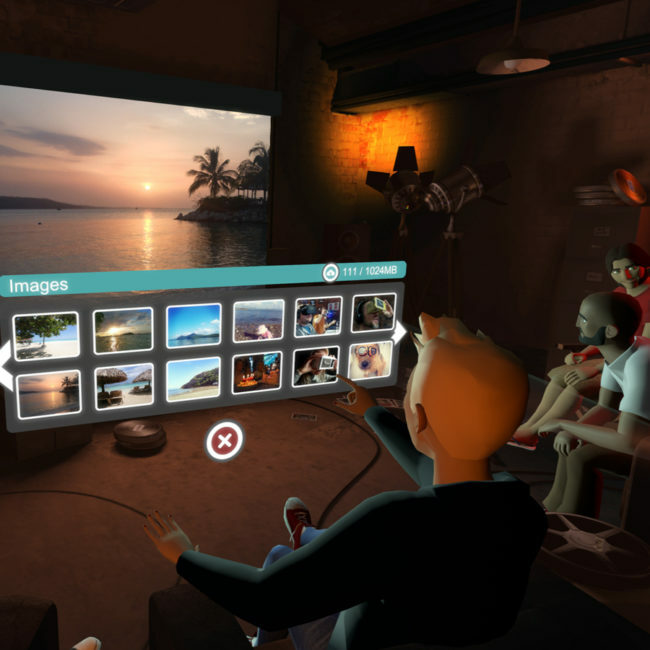 via the Oculus Rift) and voice in a range of 3D environments which include a campfire in a cave, an outer space scene, underwater, a polar region, in an old fashioned train carriage, etc. Two environments specifically support a flat screen to share images… a boardroom and a film viewing room. 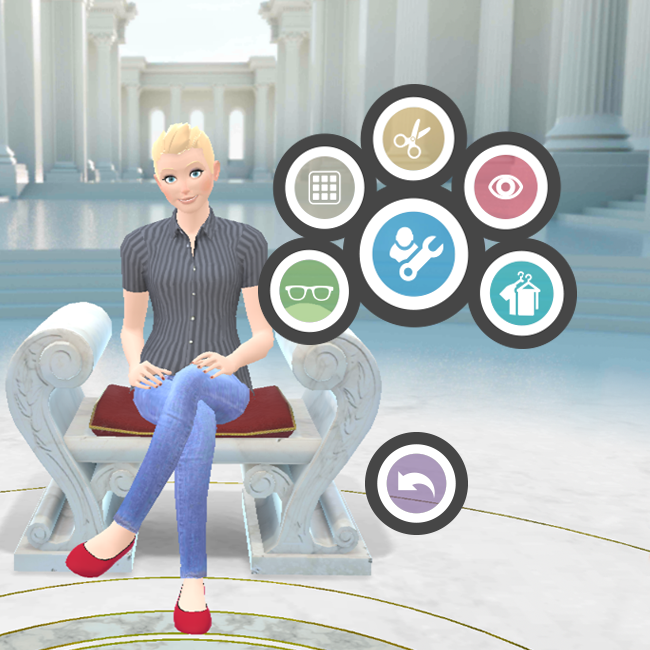 Avatars can be customised. Each user can upload flat images, 360 degree wrap round images and spherical environments to share. The current meeting host is the only one who can change the location and set the viewing images. vTime is provided by a company based in Liverpool, UK, so some of the initial surround sphere examples are of Liverpool landmarks. 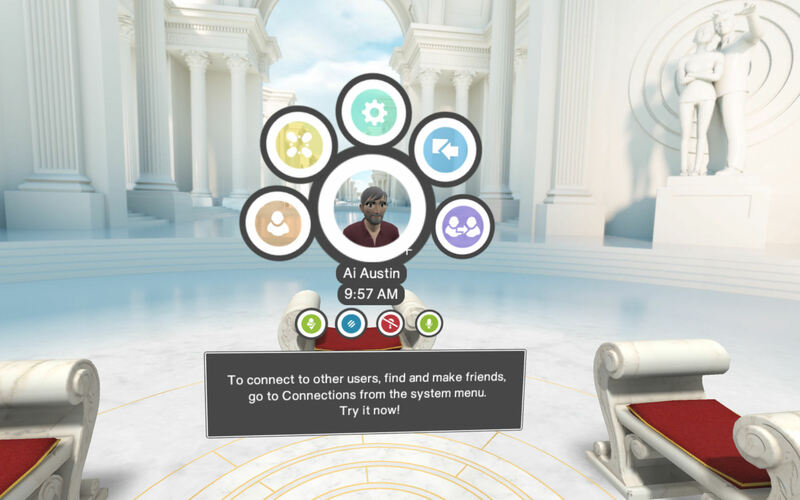 This entry was posted in Oculus, VR and tagged Oculus, VR, vTime. Bookmark the permalink.